Everyone is familiar with Charlotte Brontë's passionate, but restrained novel in which the plain, yet spirited governess Jane Eyre falls for the arrogant Mr. Rochester. It's a novel that simmers with sexual tension but never quite reaches the boiling point. Which is to be expected. After all, the original was written in 1847. That was then. This is now. 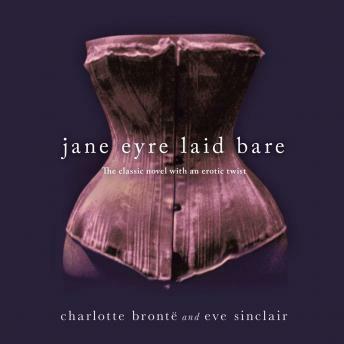 And in JANE EYRE LAID BARE, author Eve Sinclair writes between the lines to chart the smoldering sexual chemistry between the long-suffering governess and her brooding employer.